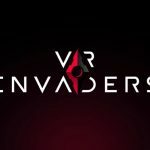 VR Invaders released on various other VR platforms last year but now VR Invaders: Complete Edition has made its way to the PlayStation VR. 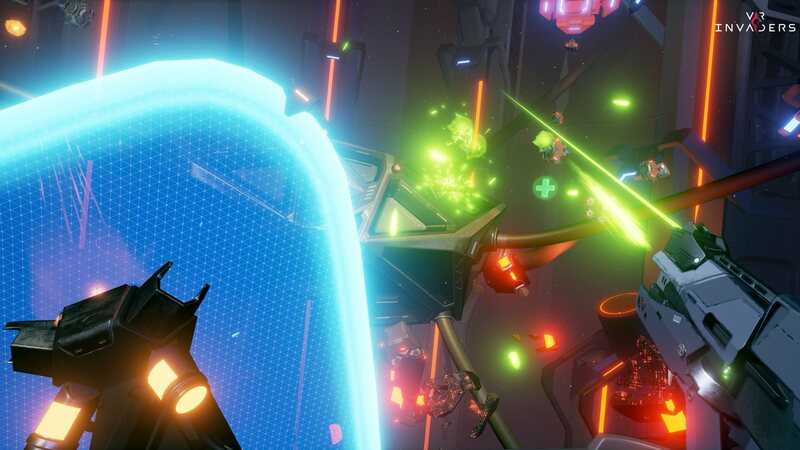 It’s a first-person shooter where you are equipped with a gun in one hand and a shield in the other for the most part and have to fight off waves of little alien robots. Keep in mind to play this game you need 2 PlayStation Move motion controllers as the Dualshock 4 is not supported which really makes sense when you play it. The game does have a story but much like many other VR games at this point there really isn’t a lot to it. You play the role of a Hacker in the year 2046 and you have to enter into VR to kill viruses. Like I said it really isn’t a big part of the game and while there are dialogue lines spoken throughout you can turn them off in the settings if you just want to focus on the shooting. The game is divided up into eight chapters and while the experience is short with just an hour or so of gameplay it is fun the entire time. Aiming the gun and shield feels great and smooth with the Move controllers and I never really experienced any tracking issues. The shield is used to deflect enemy fire while pressing the trigger button allows you to slow down time. If your shield gets hit with bigger enemy attacks however it will be useless until the cooldown timer resets. 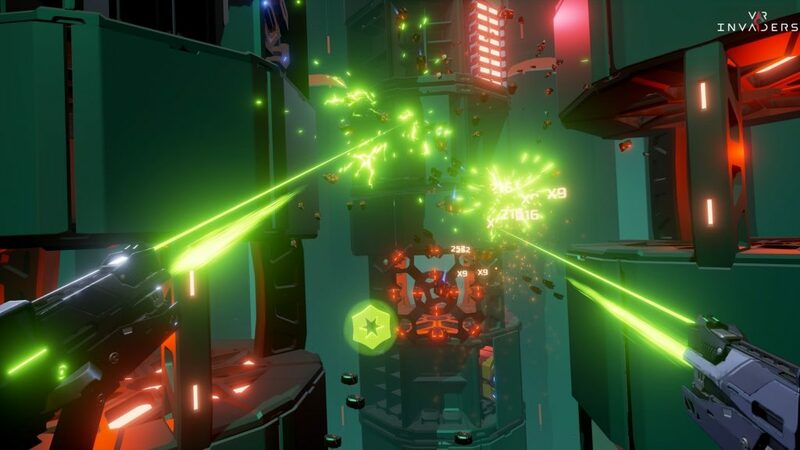 Power ups in the levels can be shot to give you upgrades as well like a laser beam or rapid fire or even one that turns your shield into another gun allowing you to dual wield. I can’t say enough how much fun the game is as you move and try to dodge enemy attacks and fire off your own. 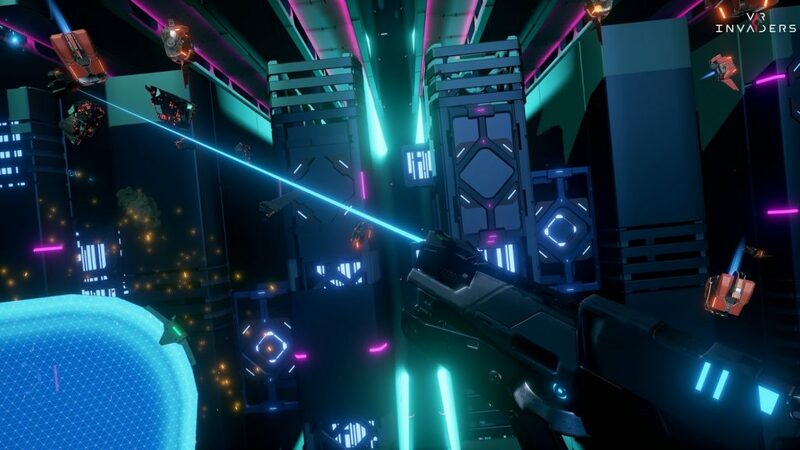 It really is one of the better VR shooting experiences I’ve played. As you play the game you’ll build up a score and there are a few ways to do this. Killing enemies is one of them but you can also shoot enemy blasts with your own gun to deflect them and build up your multiplier which in turn allows you to achieve higher scores. If you want to get the best possible score you’ll have to watch and pay attention to how the enemies move which you can do by playing the levels over and over as they always move the same way. Each of the eight levels ends with some kind of boss fight as well which offer a bigger challenge than the standard enemy drones. There are a few different difficulty modes you can play on if you end up struggling to get through the game. Once you finish that you can play them again for higher scores which is easy to get addicted to or you can play the survival mode or the shooting range. Outside of that there is nothing else in this game which could be a deal breaker for some players. I did enjoy playing through several of the levels over and over to best my score but outside of personal satisfaction there is no reason for this. This is because there aren’t even any online leaderboards which at least would have helped give you another reason to jump back in and try to score higher. It’s a strange omission from the game for sure and one that hurts this slim package even more. There isn’t even a Platinum trophy here to chase after. What does further help make for a better experience though is the graphics in the game which look great. Environments in the game can be destroyed as you fire your gun and you can even cause enemies to be taken out by the things you blow up. Audio in the game is also a high point as the music, gunfire, and explosions all sound great. 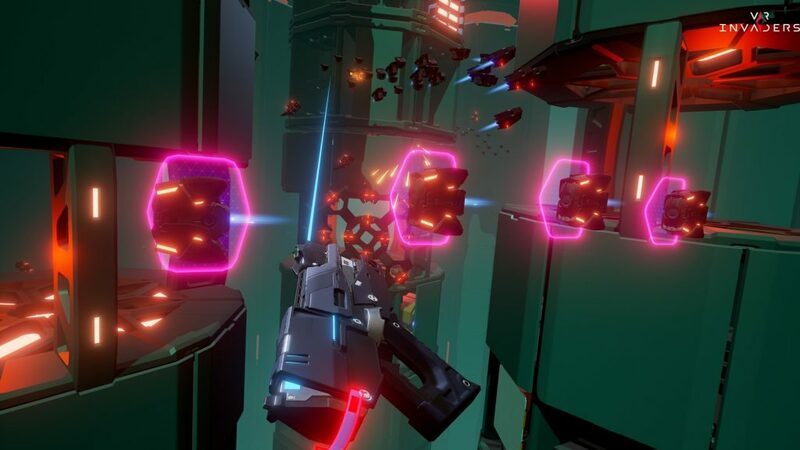 Both of these areas along with the immersive gameplay really make VR Invaders stand out from many of the other VR shooters currently on the market. 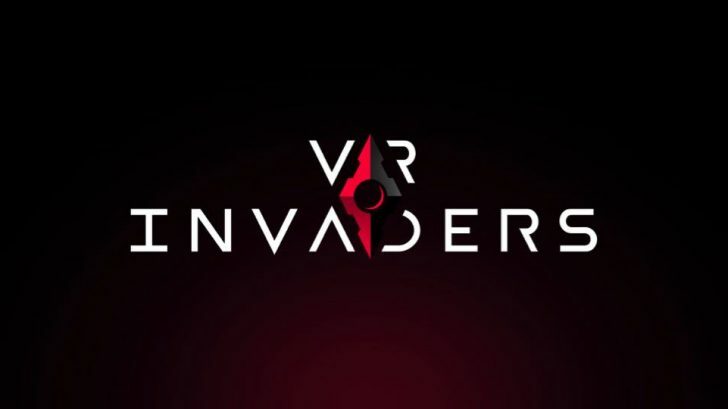 VR Invaders: Complete Edition is a ton of fun with tight responsive controls and great graphics and audio. It runs into the same problem many other VR games have right now though and that is that it’s short and doesn’t have a lot of content. It only lasted me around two hours before I kind of got bored with it but in that two hours I had a lot of fun with it. If what is here sounds worth it to you and you don’t mind the short length I highly recommend it.